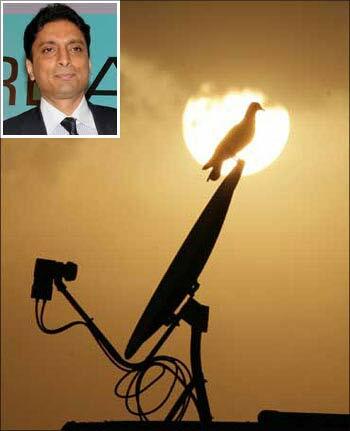 Swan Telecom promoter Shahid Usman Balwa, arrested for his alleged involvement in the 2G spectrum scam along with former telecom minister A Raja, was today sent to Tihar Jail after a Delhi court remanded him in judicial custody. 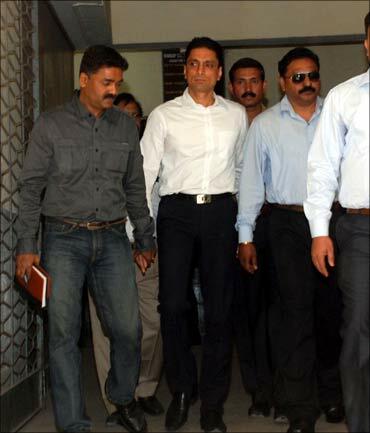 Special CBI Judge O P Saini remanded Balwa in judicial custody a day after Raja was sent to Tihar Jail till March 3. The Dynamix Balwas (DB) group managing director was produced in court following expiry of his four-day CBI custody. The court took into account CBI counsel Akhilesh's submission that he is no longer required for interrogation but he may be remanded in judicial custody as the probe into the case is not yet complete. The court also directed Tihar authorities to consider Balwa's plea to have home-made food and special orthopaedic mattress and pillows in jail as per the relevant rules after his counsel pleaded for special privilege for his client saying he suffered from acute back pain. Balwa was arrested on February 8 in Mumbai and had been flown to Delhi on a transit remand. He was the fourth person to be arrested for his alleged involvement in the 2G spectrum allocation scam, which, as per the CBI, has caused a pecuniary loss of Rs 22,000 crore (Rs 220 billion) to the state exchequer. 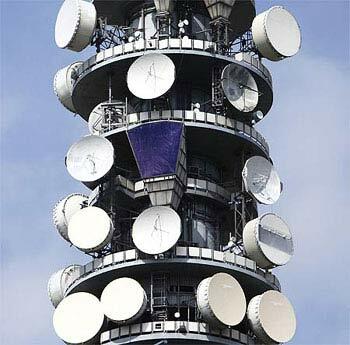 Raja, who was arrested on Feb 2 for his alleged role in the scam, is alleged to have manipulated rules to favour some telecom companies including Swan Telecom and Unitech Private Limited in allocation of spectrum at throwaway prices. Raja was arrested along with former Telecom Secretary Siddharth Behura and his former personal secretary R K Chandolia, who were sent to Tihar Jail on Feb 8. The CBI had also questioned ADAG chairman Anil Ambani on Wednesday at its headquarters, confronting him with Raja and Balwa, amid allegations that his group received favours from Raja in getting dual technology and a role for Reliance Telecom in promoting Swan Telecom. Ambani is believed to have clarified to the CBI "about the ongoing issues" related to the possible role of Reliance Telecom Limited (RTL), a subsidiary of ADAG, in Swan. Balwa-promoted DB Reality-floated Swan Telecom. Raja allegedly helped Swan bag 2G licences for 13 circles, including Mumbai and Delhi, for Rs 1,537 crore (Rs 15.37 billion), but Swan sold 45 per cent shares to the United Arab Emirates telecom giant Etisalat for approximately Rs 4,500 crore (Rs 45 billion) within months of bagging the spectrum. The sources claimed CBI has evidence from the Income Tax department that Balwa, considered close to Raja, was instrumental in channelling the kickbacks allegedly received by the former telecom minister from the sale of 2G spectrum. According to the sources, Balwa had allegedly helped the former telecom minister and some of his aides park the money in real estate sector.